Bonus: For details of the latest promotions visit the Redbet Promotions page. I came to Redbet primarily because I’d heard good things about them in the player forums. I was looking for a live casino that ran on NetEnt software that I could “test” out and add to my live casino reviews. I must admit that I wasn’t expecting to find two live casinos, so it made the experience twice as good testing them out. 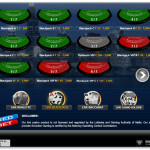 The live casinos can be found quite easily on the home page as it has its own tab “Live Casino”. 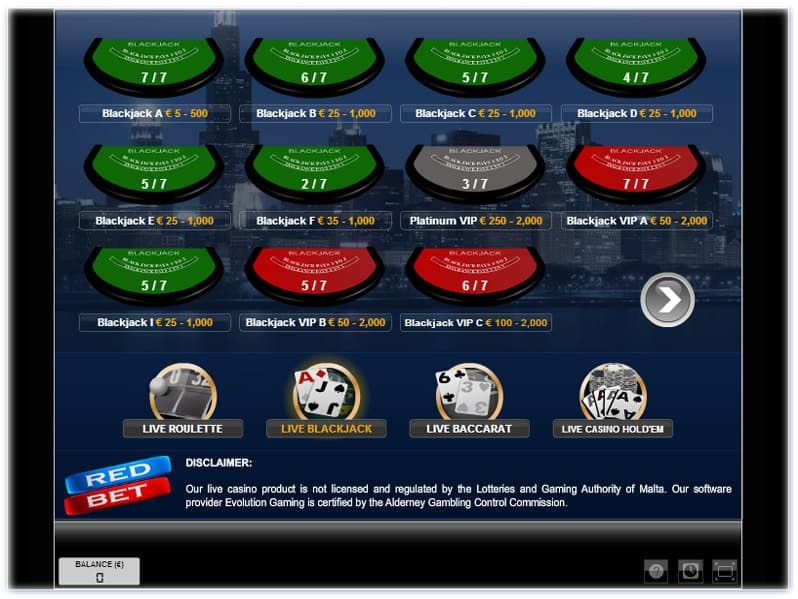 Here you’ll find listed live games from Evolution Gaming and NetEnt all on one screen. You’ve got a wide choice, from favourites like Blackjack and Roulette from both suppliers and then Baccarat, Casino Hold’em and 3 Card Poker from Evolution. You’ll notice that Redbet doesn’t have Caribbean Stud Poker or Ultimate Texas Hold’em which can be found at other Evolution Casinos. I’ve always liked the Evolution software interface and the way the games are presented. As you’d expect there are a number of ways to configure the viewing screen. I prefer to play in full-screen mode and adjust the sounds so I don’t have the music playing. The dealers all speak English and are based in a purpose built live casino studio in Latvia. It’s one of the quieter studios I’ve come across and this certainly helps if you’re trying to hold a conversation with one of the dealers. There are plenty of tables on offer for all the games. There is only one low stake table for Blackjack, but plenty of others including a good range of VIP tables if you’re interested in playing for higher stakes. 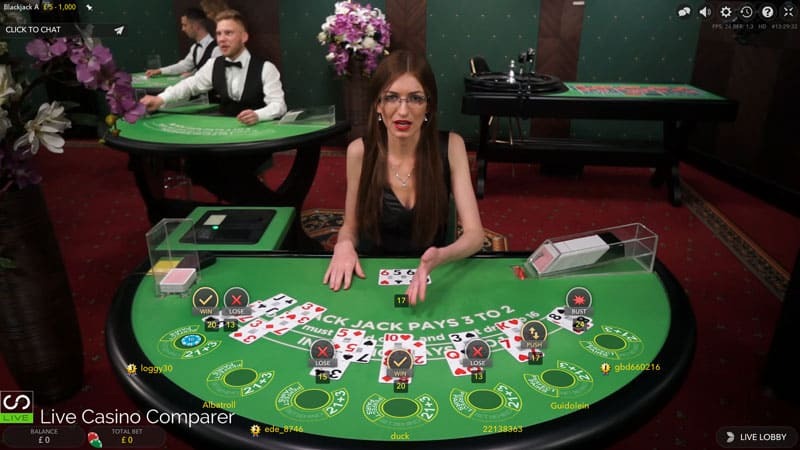 Blackjack Side bets of Perfect Pairs Bet Behind and 21-3 (poker) are available. 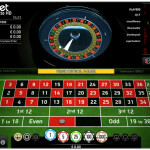 Two types of roulette are available. Live dealer manned tables including La Partage on the French roulette table and Auto Roulette tables where a real wheel is spun by compressed air controlled by a computer. No dealer is used on these tables, but everything else is the same. I was in Las Vegas recently and was surprised to see how popular this variation of roulette is. In addition to the normal configuration options, you also have the ability to zoom into the wheel to see the spin, which I quite like. 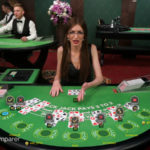 Baccarat, Casino Hold’em and 3 Card Poker are offered as multiple player games, where one player hand is dealt that an unlimited number of players can bet on. The NetEnt solution is a different kettle of fish. The casino is certainly the most modern looking of any live casino I’ve played at. The dealing room is located in Malta and the dealers all speak good English. 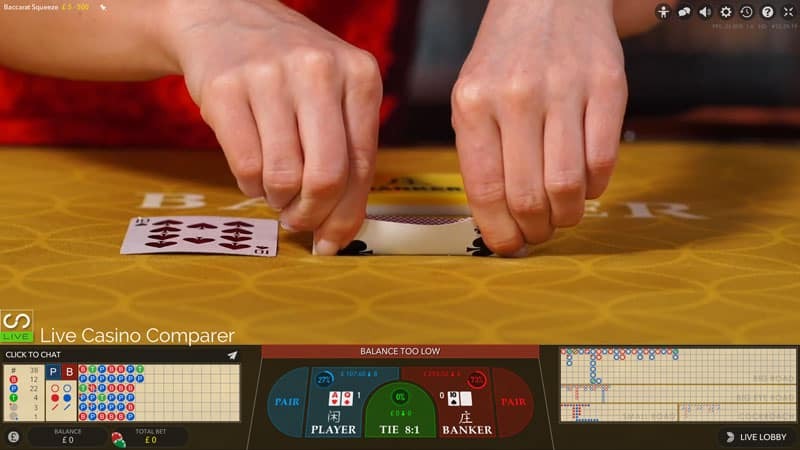 Common Draw Blackjack – where multiple players bet on one hand. Standard 7 Seat Blackjack – where up to 7 players play their own hands. 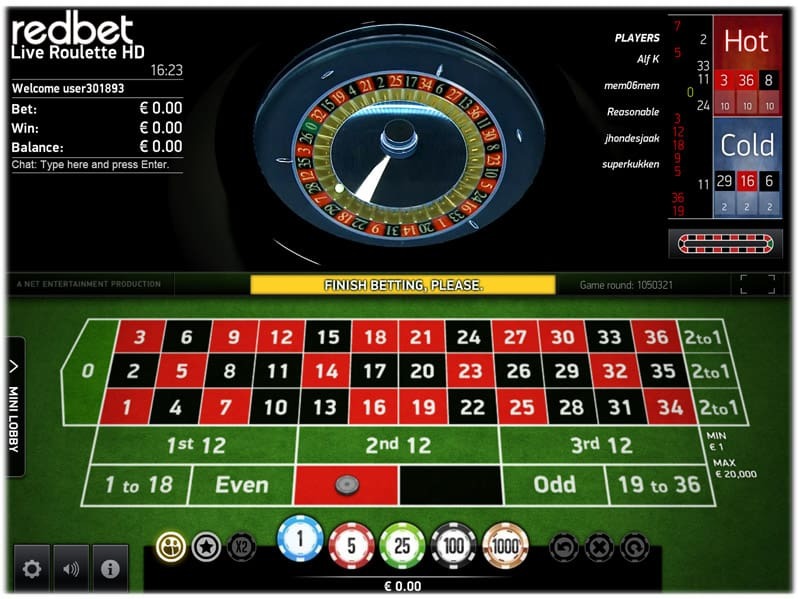 Auto Roulette – where a real wheel is automatically spun (there is no live dealer). 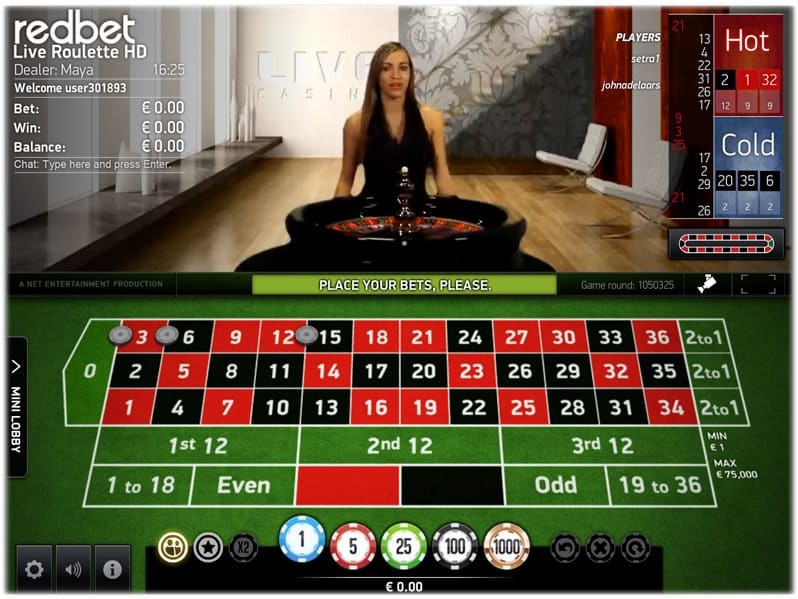 Live Roulette (with two table variations both offering La Partage and French layouts). I have to say that I like the playing interface. Everything you need is displayed right in front of you. Personally, on Blackjack, I like to see previous hands results as it gives you a feeling of how the table is playing. A mixture of a manual and Shufflemaster dealing shoes is used to shuffle and deal the cards on Blackjack. I’m not a fan of the Shuffflemaster. Call me a traditionalist, but I like to see all the cards in a shoe that has been shuffled by a real person. On roulette, you get to change the camera view to be able to see the ball spin in the wheel. It’s a multiple player game, so you get to see the others players chips on the table which is a more realistic experience than just playing on your own. Some configuration of the playing interface is possible. You can change the camera angle on Roulette, enable/disable player listings, chat, sounds and you can adjust the video quality, from high down to low. I have to do this so I can get the picture and sound matching.! The two software solutions are very different and I’m pleased to see the two options available to players. It’s a matter of personal preference which one to play at. I’ve enjoyed both, for different reasons. I generally like to play with other people on the table, so tend to favour live casinos that offer that. 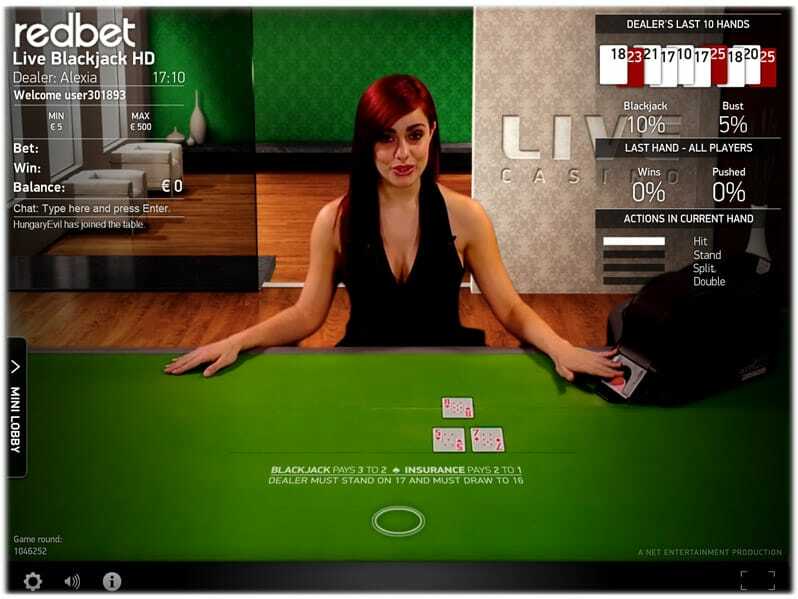 However, the modern look and feel of the NetEnt Live Casino are compelling. You can read a more in-depth review of Redbet Live Blackjack at my sister site www.liveblackjacksites.com. Redbet offers a range of deposit and withdrawal methods which include IBAN, Instant Bank, MasterCard, Neteller, Nordea, Paysafecard, Przelewy 24, Skrill, Swedbank, Visa Credit, Visa Electron, Web Money. Cash outs are generally processed within 24 hrs depending on your deposit method. 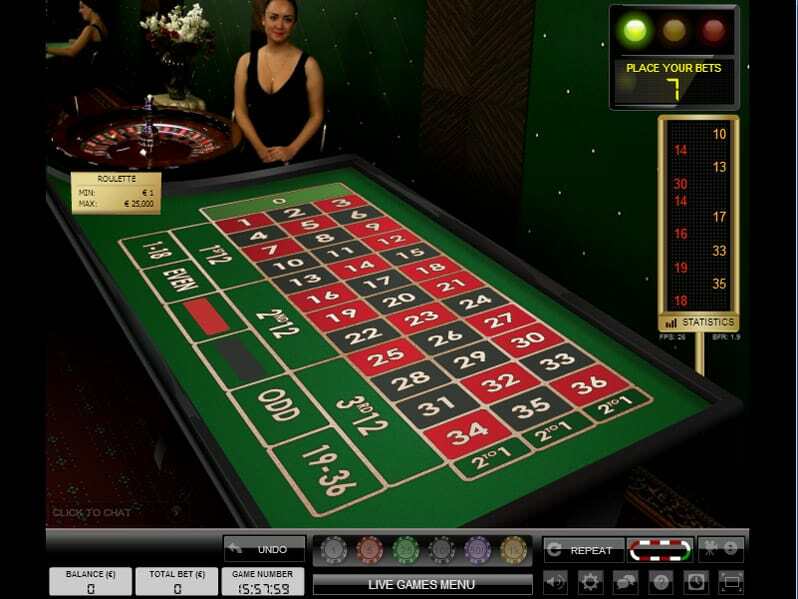 Redbet is an online casino that was formed in 2002. They are licensed in Malta and the UK and is owned by a respected Swedish company called the Bonnier Group AB. They partner with Microgaming, Evolution Software, NetEnt, Betsoft, Ongame and Boss Media to deliver a comprehensive range of online casino games including the two live casinos. The casino is very popular with players and gets high ratings for its customer service, fairness and fast cash outs in the player forums. Bonuses and Promotions are constantly being changed, so for the latest information visit the Promotions page on the Redbet website. Support is available by Live Chat (available between 09:00 – 01:00 depending on your country), telephone and email. 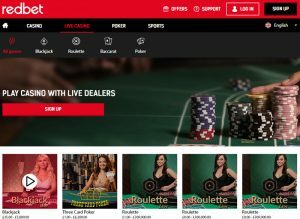 Redbet is a good solid online casino and their two live casinos should have something for everyone. 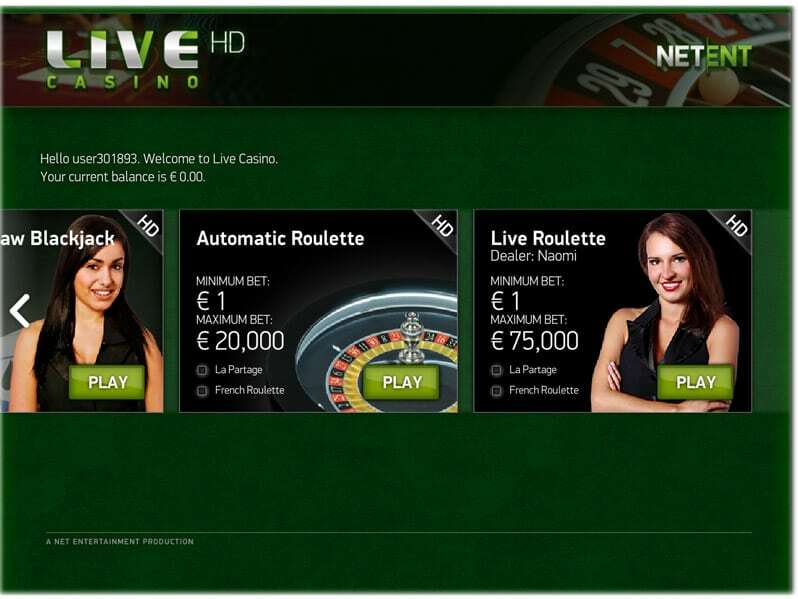 Do try out the NetEnt Live casino, as it has a different feel from the more traditional live casinos reviewed on Livecasinocomparer.